All Fortescue homes currently listed for sale in Fortescue as of 04/20/2019 are shown below. You can change the search criteria at any time by pressing the 'Change Search' button below. If you have any questions or you would like more information about any Fortescue homes for sale or other Fortescue real estate, please contact us and one of our knowledgeable Fortescue REALTORS® would be pleased to assist you. 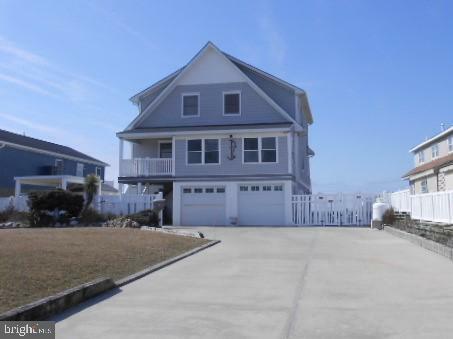 "3 BR, 3.5 bath gorgeous waterfront home on Delaware Bay in Fortescue. Lower level has an open floor plan with Great Room/Dining Area & kitchen, exercise room, a full bath, and access to a 2-car garage. Main level features an open floor plan with LR/Dining Area, and Kitchen, bedroom, full bath with Jacuzzi & stall shower, and a half bath. There are two enclosed porches - one overlooking the Delaware Bay sunsets on the West side and an enclosed porch on the East side overlooking the meadow and sunrises. The upper level features an open floor plan with a LR/Dining Area, 2 bedrooms and full bath. The kitchens have beautiful granite countertops, beautiful cabinetry and a wine cooler on the main level. There is a wraparound pre-treated deck, fenced yard and reinforced bulkhead. This home has it all!! 48 hr. notice and prequalification letter required prior to any showings." "REDUCED!~Live in Touch with Nature. Nurture your soul! Here is your chance to live the ultimate waterfront lifestyle. Views of the Bay from every window. Custom built home for current owner. 12 years old, in private Raybins beach! The property had an appearance on Crazy: Tale of Two Species, a PBS special. Definitely unique, A One Of A Kind! Home has a spacious eat-in kitchen, opens up to the living room area. Screened in porch 10 X 16, overlooking the bay. Mudroom by the entrance for easy clean up from your walks on the beach or storage of beach equipment. Bonus room for a TV sitting area or use as an additional bedroom, your choice. Bathroom, extra storage closets & heater room finish the downstairs. Lots of room to entertain in this beach getaway! Secord floor will Wow you! Cathedral ceilings, two patio doors leading to the deck, and that view again! Large family room with beautiful multi-shaped Anderson windows for viewing the wildlife, sunrise, or sunset. Master bedroom with full bath & closet space finishes this upstairs floor plan. Outside deck for relaxing with a good book or a cup of coffee. Take in life on the water and bask in the big blue sky! Nature land trust is one neighbor, so just land and wildlife. Don't forget your fishing pole, boat or binoculars! A Must See! Call for your private tour!" "NEW PRICE! Come to the quaint town of Fortescue and step back in time. This Waterfront home has so much character & charm. Lots of potential in this property. 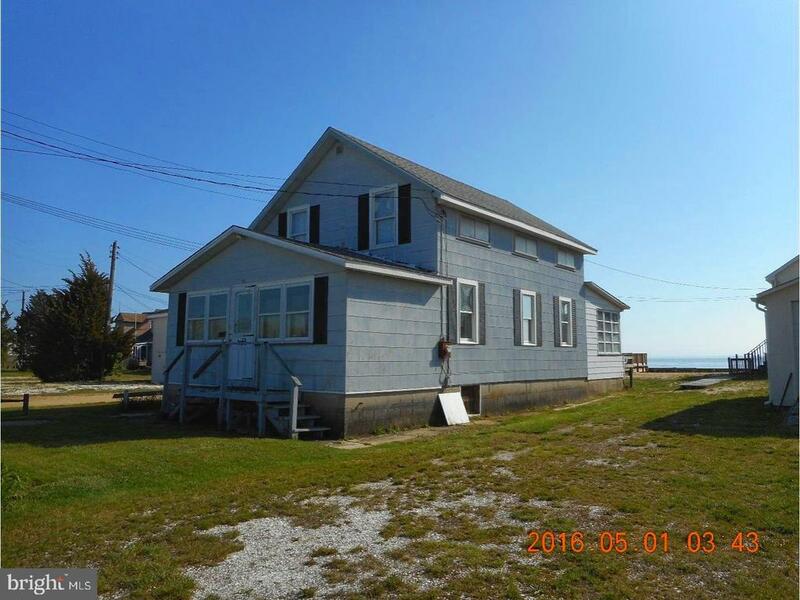 Extra lot gives a clear view of the Delaware Bay, breathe taking! Sunroom has a full water view and lots of sunshine. Kitchen, Living area, dining room and utility room on the main floor. Stairs lead to a large master bedroom, bathroom, second bedroom with an office & an additional bedroom which completes this layout. Beautiful custom wood on walls and ceilings through out this adorable property. Also a new roof in 2014! Come see what this town has to offer: fishing, boating, sea glass collecting, crabbing, swimming, and so much more! A restaurant & luncheonette close by for no-cook weekends! Come for a visit, you will not be disappointed. Grab your fishing rod! Make an offer today. Fortescue/GandysBeach New Wastewater Treatment Plant paperwork attached to the listing. All required certs, permits, or inspections are buyer's responsibility." "2 BR/2 Bath home on pilings overlooking the Fortescue Marina. Enjoy unobstructed views of the sunrise over the Marina in the East and sunset over the Delaware Bay in the West. Stroll along the Marina when the boats return to see the catches of the day! A boatele on the property provides separate guest quarters complete with kitchenette, bath & combo sleeping/LR area." 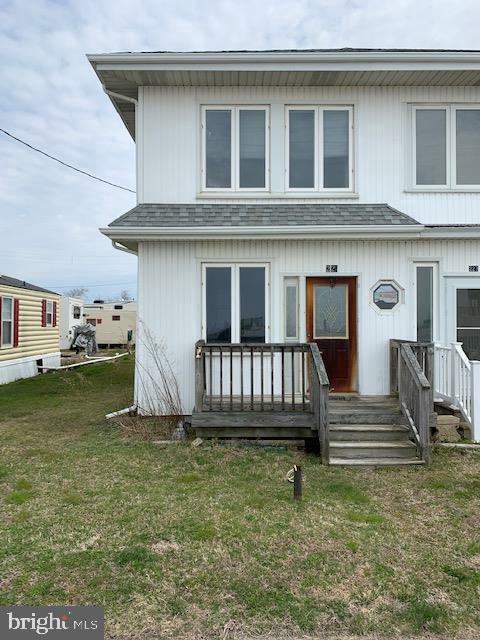 "2 bedroom, 1 bath year round home across from the Delaware Bay in the fishing village of Fortescue, has open Living Room/Dining area with spiral staircase leading to a Den/TV room on the second level, updated eat-in kitchen. Electric BB heat in downstairs bathroom. Relax and enjoy the screened porch and Tiki bar after a day of fishing, crabbing or sunbathing on the beach. There is an oversized detached garage and storage shed." 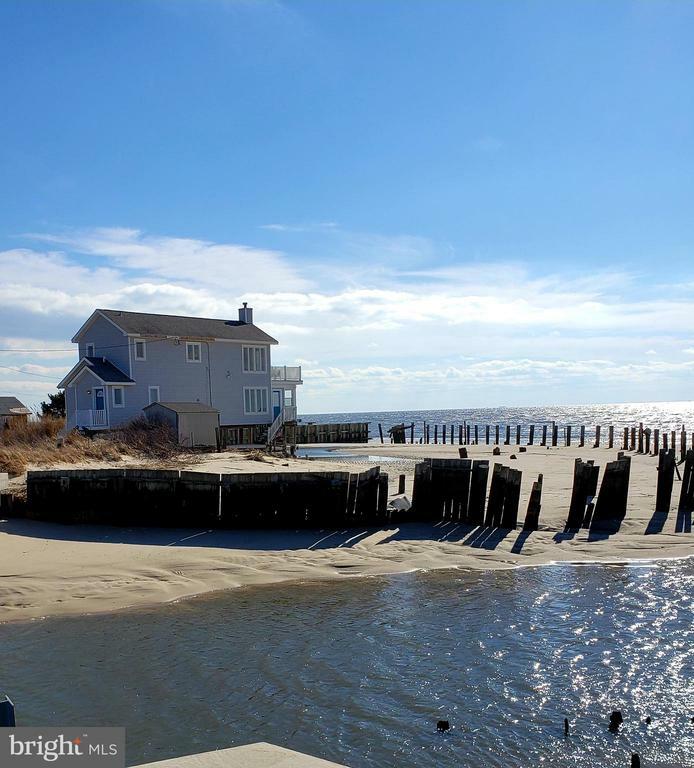 "This home has magnificent views of the Delaware Bay. The home has been rehabbed and has a new Septic System. There is a Sun Porch on the Second Floor with new Windows and Panoramic Views of the Bay." "DELAWARE BAY FISHING VILLAGE-a hidden South Jersey treasure!! A short walk to the Bay for fishing, boating, the 2 beachs and fun. 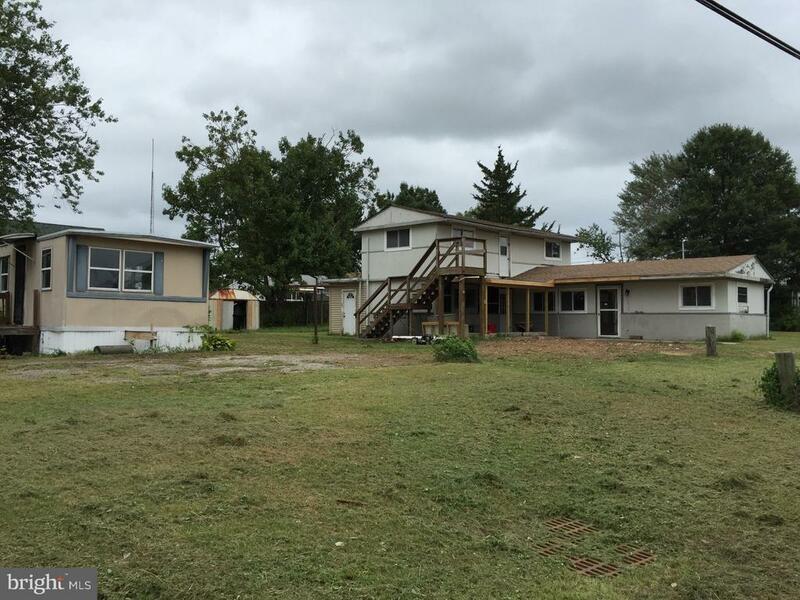 This home does need some finishing work but it already has new drywall thru-out, new or up-dated plumbing and electric, new electric hot water heater, some new trim & doors, newer bathroom fixtures & a new roof. The upper half bath could easily be a full bath-presently it contains the washer/dryer area. We also have a front porch area, upper look-out deck, a trailer for storage, removal or possible renovation for tenancy with proper township approvals. The home stands on an over-sized corner lot for privacy or great gatherings. the potential is here, you just need to bring your imagination. CERTIFICATE OF OCCUPANCY IS AVAILABLE. Please call listing agent for appointments." 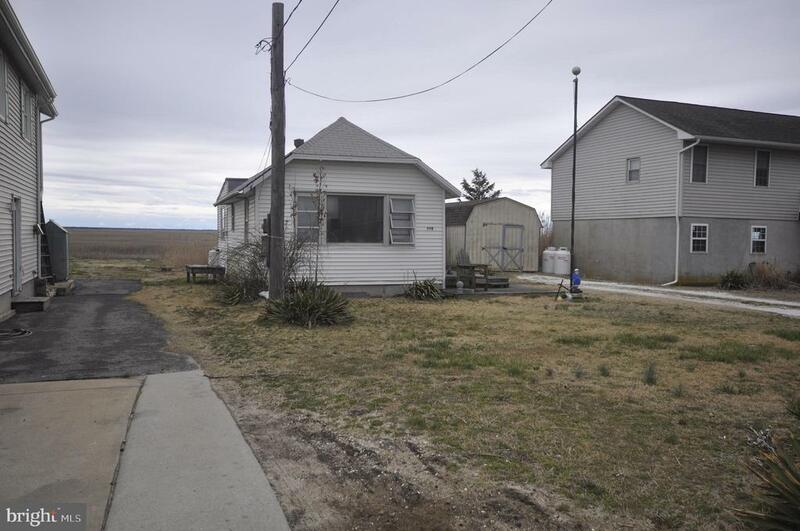 "2 bedroom/1 bath mobile can be used year round in fishing village of Fortescue by the Delaware Bay. Spacious living room, full eat-in kitchen and screened porch to relax after a day of fishing. Lot is oversized. New heater and hot water heater, roof is 5 years old. Windows, doors, siding & back porch 5 years old." "Cute 1 bedroom ranch on back-bay in Fortescue." 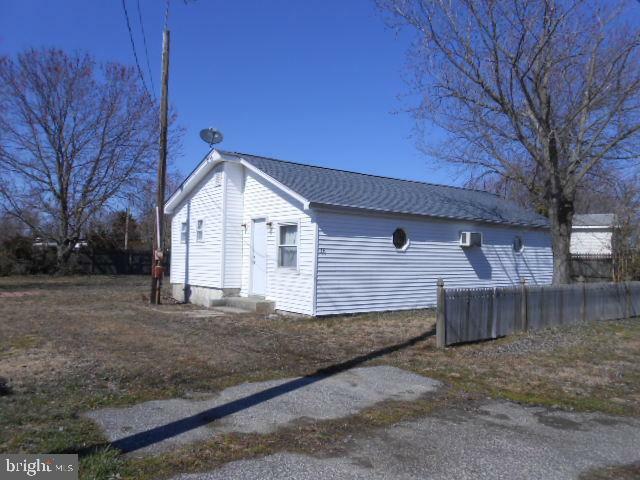 "Single wide mobile just a block from the Delaware Bay with a view of the meadow in the rear. Has 2 bedrooms, 1 bath, LR & eat-in kitchen, large storage shed...can be enjoyed year round. In good condition." "Let Summer begin! This left side of a 1/2 double is located in Fortesue New Jersey situated across from the Delaware Bay. This home features a sunroom, living room, dining room, and a galley kitchen. Three bedrooms are on the second floor and a full bathroom is on the first floor. The home also features a back deck. If you enjoy the beach and fishing, schedule your showing today!" "This 3 B/R, 1 bath Mobile home close to the Bay is priced to sell!. Add your finishing touches and you'll have a perfect place to call home or a 2nd. home. sold in As IS condition and may need a septic. Buyer responsible for all certifications and repairs. Requires Board of Social Services approval for sale. There is a significant tax burden against the property that cannot be cleared with the current sale price."